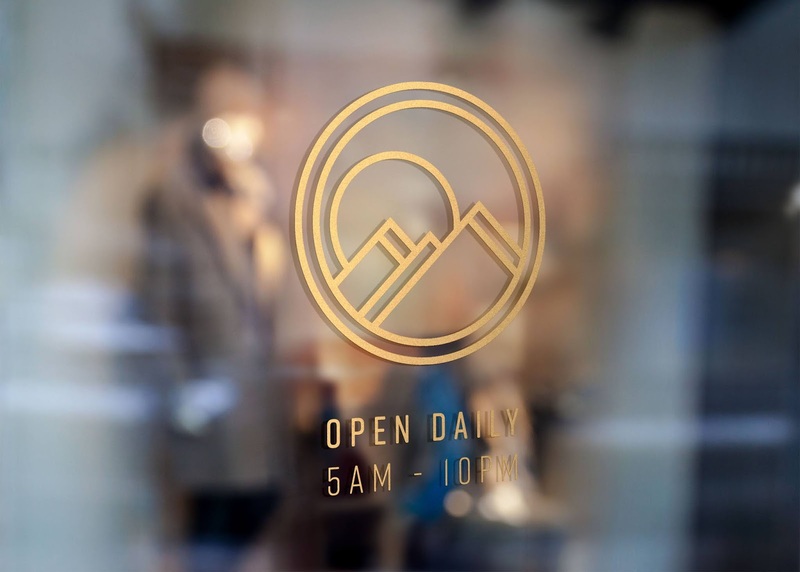 Focus on design that elevates the brand, while also reaching the younger coffee consumers. 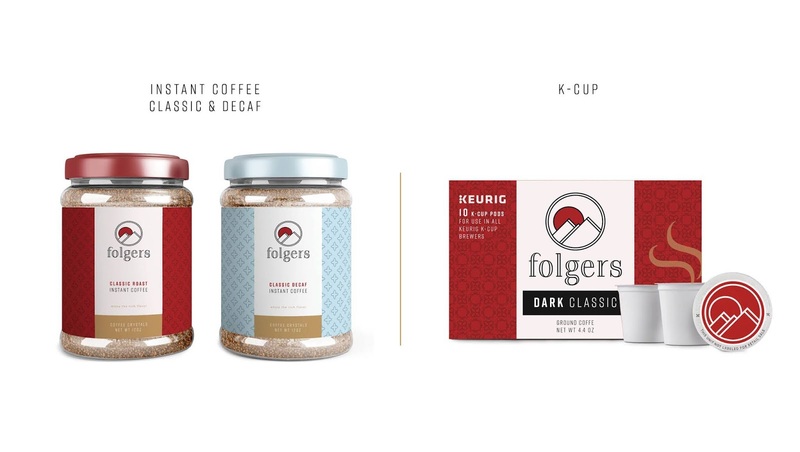 Folgers is a market leader when it comes to packaged coffee over competitors like Maxwell House and Starbucks. 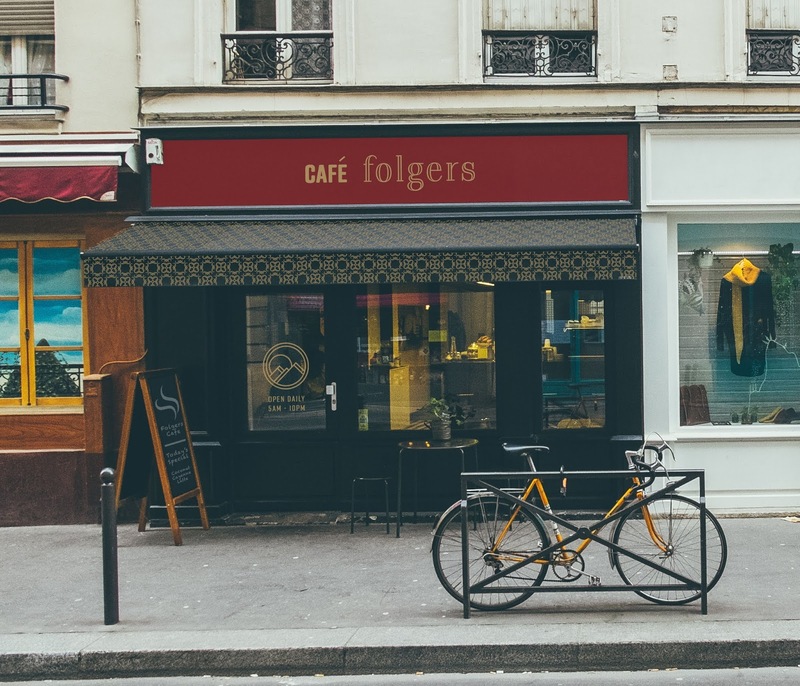 Currently, their main consumers are slightly lower income and of senior age. 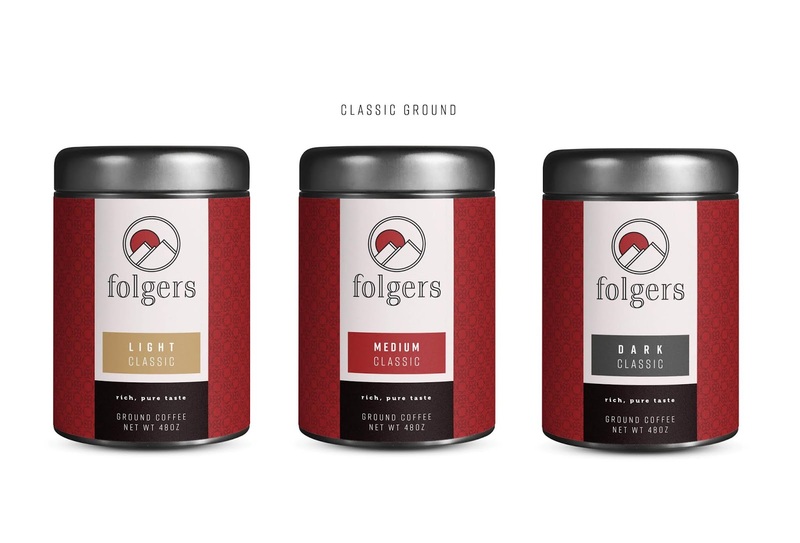 The coffee demographics/trends are however changing quickly, and the new design is intended to help Folgers stay ahead of the changing times and capture the younger audience. 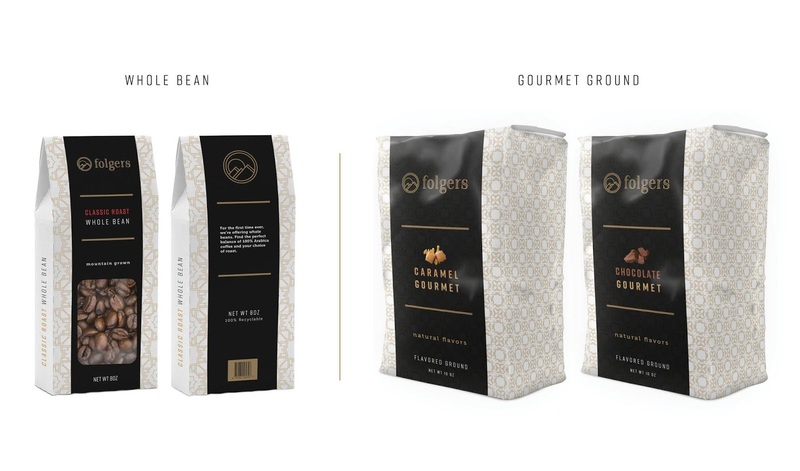 A complete new take on the gourmet packaging, as well as their classic line-ups, and introduction of whole beans product and cafe folgers.